We went around the group and there was a common theme: Couples wait too long before they ask for help. I see this in our church. 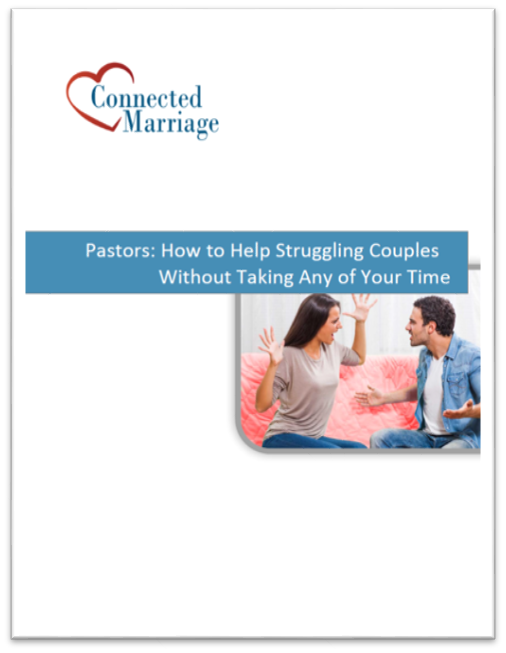 We are constantly asking ourselves how to reach couples before they get into too much trouble. I’ve come to recognize seven stages to a decline in marriage satisfaction. 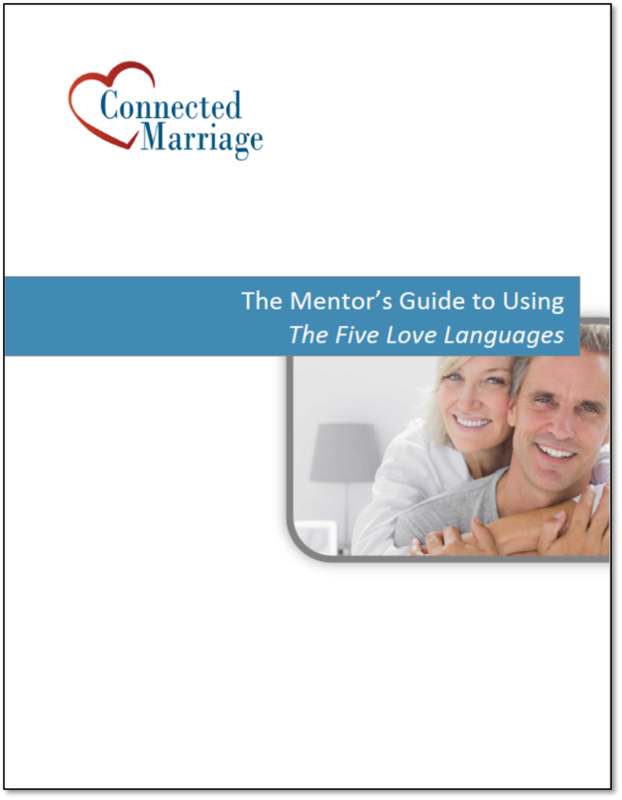 According to Dr. John Gottman, couples spend an average of six years of being unhappy before getting help. These stages aren’t inevitable. They can all be reversed with a bit of work. Couples get married with the optimistic belief that they will always be in love. They assume they can put their relationship on auto-drive and it will just happen. When we’ve mentored pre-marriage couples, this is the state that I frequently see. They can’t imagine that they’ll ever have relationship issues. We get focused on daily demands like kids, jobs, finances, chores, down time, etc. All of these things can cause your relationship to drift off course. The relationship comes under stress because of the stressors in our lives. Women tend to notice the absence of positive interactions. They tend to be much more sensitive to the health of the relationship. The wife starts to complain in some way. They suggest a marriage class or they ask to spend time talking. Men tend to keep their eyes on the prize – their job, their friends, kids, house, something else. The husband is clueless that there is anything wrong. This reaction can feel dismissive and uncaring. If a couple doesn’t start to work on their connection and building love with one another, they often end up in the next stage. The wife, who sees the declining relationship, moves from being nice about it to being not so nice. Soon, she criticizes, demands, becomes sarcastic and contemptuous. The husband reacts by defending, counter-criticizing and withdrawing. She loses the optimism that they once had. Now, she doesn’t think that her husband will ever change. She loses hope in the relationship. She starts to pursue other interests. She throws herself into her kids, jobs, friends, etc. Eventually, the relationship starts to die. He starts to feel like he is failing and he’s being rejected. The husbands starts to sense that the relationship isn’t going well. He starts to want to work on the relationship. Often, the wife sees this as too little, too late. Lots of times, neither spouse is at this stage at the same time. I love it when a couple gets to this stage. Hopefully, they have decided to work on it earlier rather than later. It helped me as a mentor when I was able to recognize these stages. 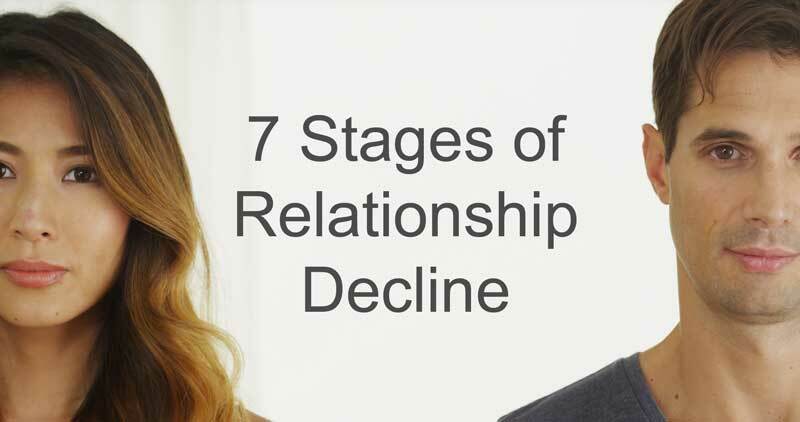 The stages helped me to understand how a relationship declines. Are these always the same phases for every relationship? Of course not, but I have seen a similar pattern many times over in my work with couples. It’s not always the wife that notices the issues first. Sometimes, the husband is more aware of a declining relationship. The truth is that couples can work on their relationship. It does take motivation and work to improve. I see in this progression a warning to people to take their relationship more seriously. Build into the relationship now before it reaches a more serious level. I love it when I see a couple that wants to receive help before they have gotten to the “Lost Hope” phase. I tell them that I’m glad that they are working on their relationship. One time, a couple met with us and they were not at the lost hope stage. I explained that they weren’t that bad. They viewed my comment as dismissive. That couple was being proactive and I came across as not taking them seriously. They wanted to work on their relationship. They were doing what they should be doing. I’ve also heard lots of stories about affairs and adultery. When this happens the pain of the affair is at the top of the couple’s mind. However, underneath the affair is often this slow disconnection. I’ve heard people say, “We’re not that bad. It’s not like someone has had an affair.” I’m always happy to hear that, but it doesn’t mean that the relationship isn’t heading towards disconnection. The issue is usually not the affair, the issue is the slow disconnection. That doesn’t mean they don’t have to work through the pain of the affair. They do. They also have to work on the underlying reasons for the affair. Be Aware of the Pattern – It’s helped me to be aware of the pattern. Connection is the issue. How does the couple build connection? Are They Both Motivated? Often, one person has lost motivation to work on the relationship. It’s important to be aware of that. You can determine if there are parts of the relationship they are willing to work on. Validate where they are at – If a couple is early in the process, fantastic! Just remember that working on the relationship is serious to them. If a couple, or a person, is later in the process, validate their loss of hope. That’s OK. Hope can come back with a little bit of work. This is great information. My spouse and I have been leaders of our church Marriage Ministry for many yeas and we see a lot of what we do/discuss with couples. I will keep this information as reference materials. Thank you for sharing. It sounds like you have seen some of these same patterns. If you see additional things, let me know. I spend a lot of time thinking about patterns that I see. When I can identify them, then I can think about how to address them. It’s good to know that this is helpful!